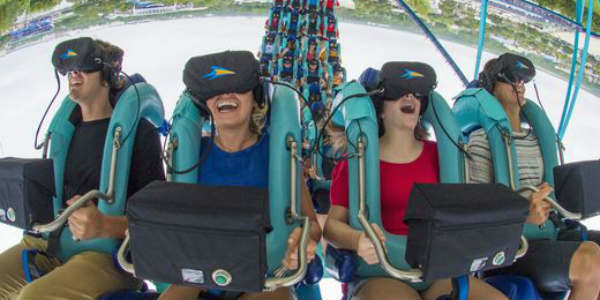 SeaWorld Orlando has officially phased out the Kraken Unleashed’s VR headsets, returning the roller coaster to its original design. Guests and the media were excited at the VR element to the ride when it was introduced in June 2017. The headsets added made riders feel like they were underwater on an adventure and dodging sea creatures. But over the last year, the review have been very mixed, not to mention having to clean the headsets after every group of riders lead to longer wait times for each new group of riders. But since SeaWorld Orlando retro-fitted the coaster with the headsets instead of building the coaster with them as part of the design, this can simply be chalked up as an experiment that didn’t work. Are you excited to ride Kraken in its original format, or will you miss the VR element? Let me know in comments.